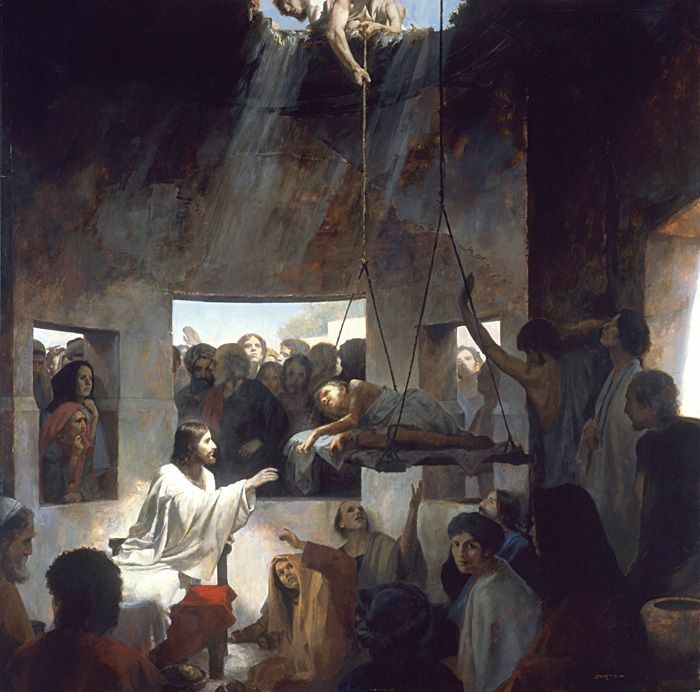 Here are 18 eye-opening passages from the Gospel of Mark that prove the deity of Jesus. Even if all we had was Mark and the Old Testament, we'd still know that Jesus is God. - Is Jesus Alive? So does Ehrman have a point? Here’s a spoiler-alert: No. The tension between the Synoptics and John isn’t there. Not like Bart makes it out to be. I’m going to share 18 passages that show that even if we only had Mark and the Old Testament documents, we could still arrive at John’s conclusions about Jesus’ deity. These verses taken together present a pretty clear picture: Mark believes Jesus is God. ‘Son of Man’ is Jesus’ favorite title for himself. And his message was “the gospel of the kingdom of God”. (Mark 1:14-15) This Son of Man receives authority over an everlasting dominion, and all nations worship him. This is more than a “priestly prerogative”, it’s more like a kingly decree. And he shows he has the power to back it up by healing the man. I’m sure Jesus’ Jewish audience might have remembered Psalm 103:2-3 which says “Praise the Lord, my soul, and forget not all his benefits—who forgives all your sins and heals all your diseases”. I’m quoting the Amplified because it does a good job of translating the Greek language here. When Jesus says “take courage, it is I” he’s saying “ego eimi”, which literally translates “I am”. That sounds an awful lot like what Jesus said to the Pharisees in John when he says “before Abraham was, I am” (John 8:58). Now, if you know anything about the Old Testament, you know that “I Am” is the divine name (see Exodus 3:14) In the context of God revealing himself as the “I Am” in Exodus, God exercises power over nature – the bush is on fire but it’s not burned up. Here Jesus is saying he’s the “I Am” while exercising power over nature – he walks on water. Remember what we said about Jesus calling himself the Son of Man, and how the Son of Man has divine honors according to the prophet Daniel. Here Jesus says that he’s coming in glory with his Father and the holy angels. This sounds a lot like Daniel 7:13-14 again, with the Son of Man coming in the clouds of heaven. He’s also claiming that if someone’s going to follow him, he has to be willing to give their life. The OT prophets make some strong claims, but none ever come remotely close to calling for this type of loyalty to themselves. This type of sacrifice is reserved for God only. In the Old Testament, both Moses and Elijah had appearances of God. Yet neither Moses and Elijah were able to see God’s face. In fact, God told Moses specifically that he wouldn’t see his face (Exodus 33:23). 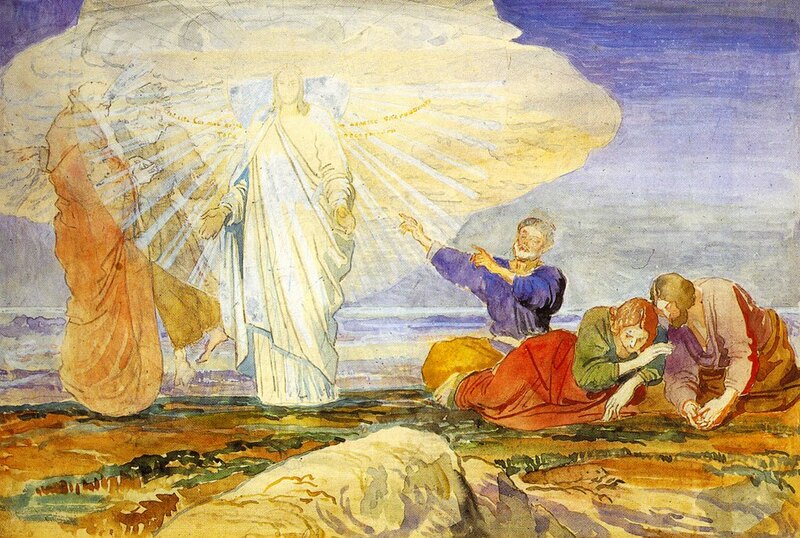 Elijah heard the voice of God on the mountain and in response covered his face (1 Kings 19:9-13) In contrast, on the mountain of Transfiguration Moses and Elijah are finally allowed to see what they couldn’t during their earthly lives – the face of God. How? Because the God who appeared to them on the mountain became a man. Jesus is God with a human face. This isn’t lost on his disciples, they point out they had given up everything to follow him. In response, Jesus said “Truly, I say to you, there is no one who has left house or brothers or sisters or mother or father or children or lands, for my sake and for the gospel, who will not receive a hundredfold now in this time, houses and brothers and sisters and mothers and children and lands, with persecutions, and in the age to come eternal life.” (Mark 10:30) Whoa there. Who gets eternal life? The one who follows Jesus. Jesus gives eternal life to those who follow him precisely because he’s God. This is suddenly sounding a lot like John 3:16. Jesus isn’t denying that the Messiah is a descendant of David. In fact, when Bartimaeus says “have mercy on me, Son of David!” Jesus stopped in his tracks and healed him. Jesus is saying that the Christ is something a lot more – he’s the Lord of David. Jesus is quoting Psalm 110:1-2. He says that the Messiah sits at the right hand of God, which implies co-rulership with God. 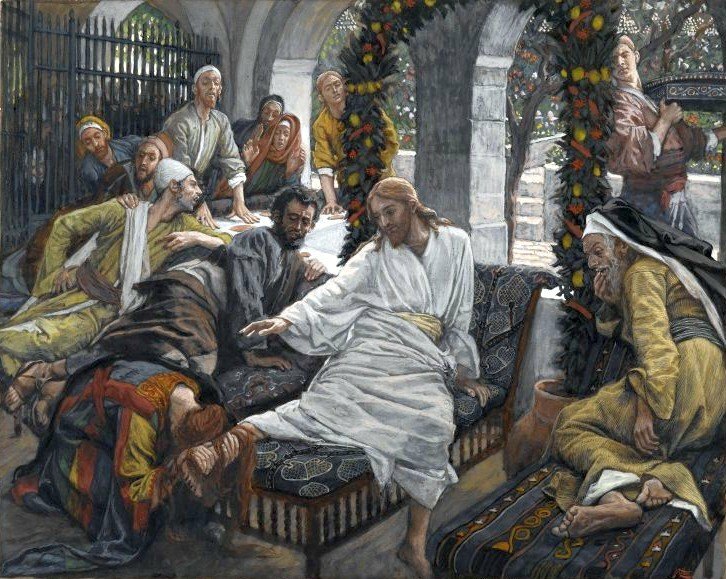 A look at an alleged contradiction in the gospels: Did the centurion ask Jesus directly to heal his servant, or did he send others to ask?